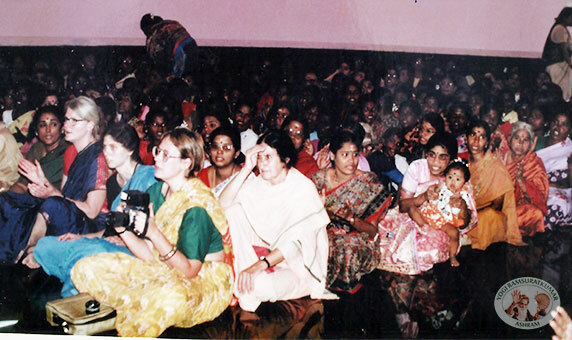 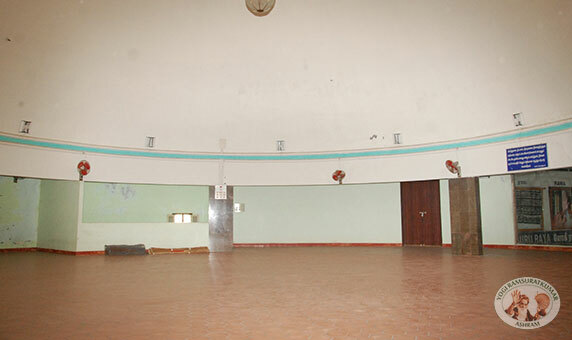 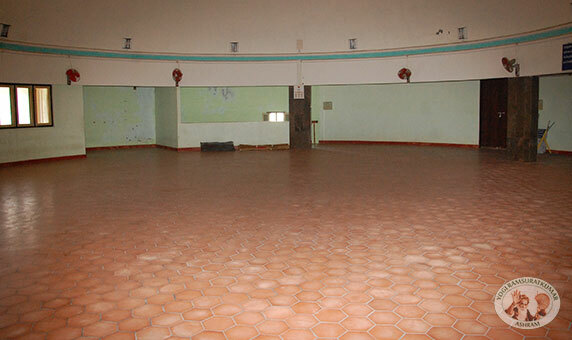 This hall is situated in the first floor of Swagatham. 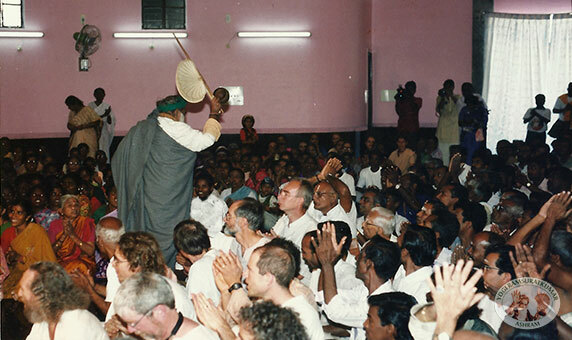 Those interested in meditation would feel the sanctity and calmness here. 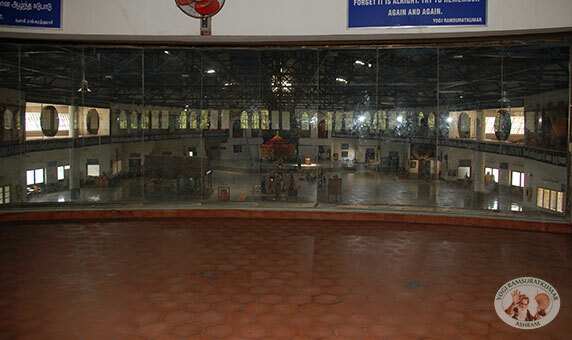 Through the glass panel one could see from here the Mahasamadhi shrine.